A notable month for TechWyse. Not because of any outstanding account achievement, or our usual remarkable progress in innovation. The month that just past (for me personally) included a great deal of education discussing website conversion. In fact, it prompted me to write an article about it! Our VP Operations and Web Development manager concluded a successful trip to our production centre, TechWyse International, located in India. Every trip is about education, organization and improving our everyday processes. 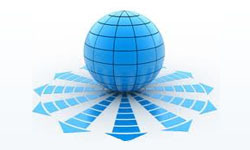 The trip was a success and is growing evidence of the increasing success we are having in both website development and search engine marketing today. Our new TechWyse Client Centre! We have been talking about this one for a while. It is not just a simple login area for clients to view reports. The client centre will include, a fully interactive lead management system, CRM, reporting for organic optimization, pay per click and integrated Google Analytics. It also will provide statistical summaries outlining the progress on marketing campaigns. We will be officially releasing this to our client base in January! 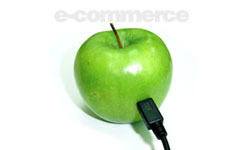 We will also be launching our internet marketing innovations portal in the coming months. A place to show off our latest additions to the industry, communicate and interact! Stay tuned. Giftcraft – the first phase of several. 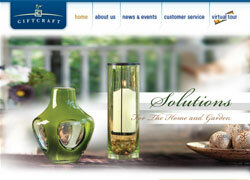 The site was built to display the vast amounts of inventory the company sells to its wholesalers. 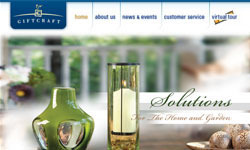 As a graphical rich website, the challenge was implementing a site that allowed for effective visual representation while at the same time gave the administrator the ability to easily add product lines, and images to the company photo gallery. The second phase to this project will include a fully interactive back office component which will allow the user and community to interact and improve company automation. Exciting. Go ahead and visit the site! 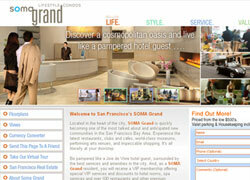 Soma Grand – An campaign built for international markets spun off in November. The purpose of the campaign is to develop a market for international investment in what is considered one of the finest development, condiminium buildings in San Francisco. Visit the site! 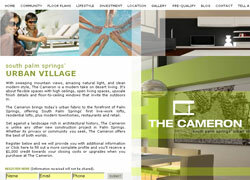 Cameron Palm Springs – Also launched was a property development marketing campaign for "The Cameron", a South Palm Springs 'Urban Village'. Featuring a purpose built test interface which will change over the coming months dependant on controlled variables found in Google Analytics, the site will be a centrepiece for the effects of statistical analysis and its effects on an internet marketing campaign for a land developer. The entire company would like to extend a big Happy Holiday's to both all of its blog and email subscribers and will look forward to interacting with many of you in 2008.